One Piece Forearm Sling With Stabilising Buckle. Our one-piece arm sling has a universal design incorporating a stabilizing buckle, which makes the sling fully adjustable to fit all. 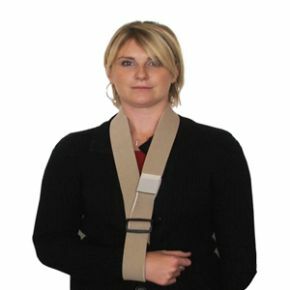 The sling can be used to comfortably support a variety of injuries including broken arms and broken or sprained wrists. It is machine washable (please remove stabilizing buckle before machine washing).